Young Woman Shot Dead, Armed Robbers Reportedly Attack Bank In Uyo. 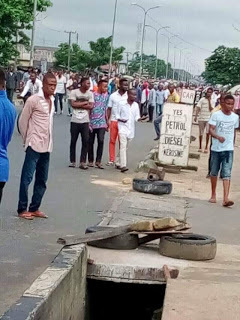 According to online reports, One young woman was gunned down by Etekpe Filling Station, opposite Nkemba street. 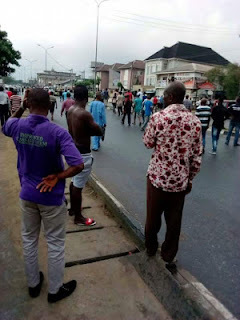 There is ongoing gun battle between the police and the robbers.